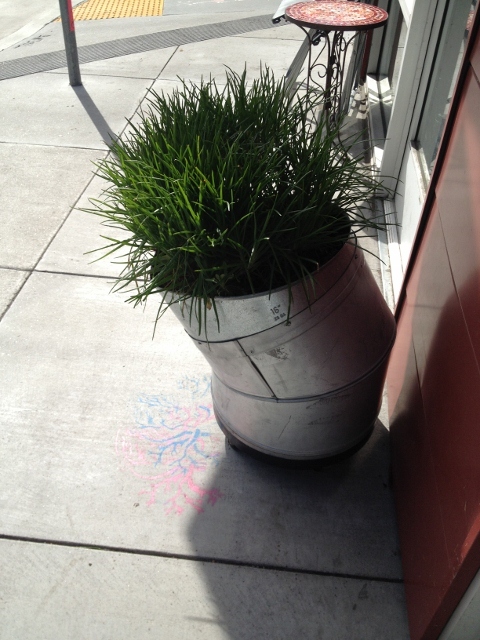 Planter boxes on wheels are becoming increasingly popular around café and shop entryways in the City. Have you noticed? The ultimate small spot – a container – that won’t be stolen or vandalized come nighttime, nor will prompt curse words to fly from the mouth of the person with the closing shift attempting to lug a heavy planter through the doorway. 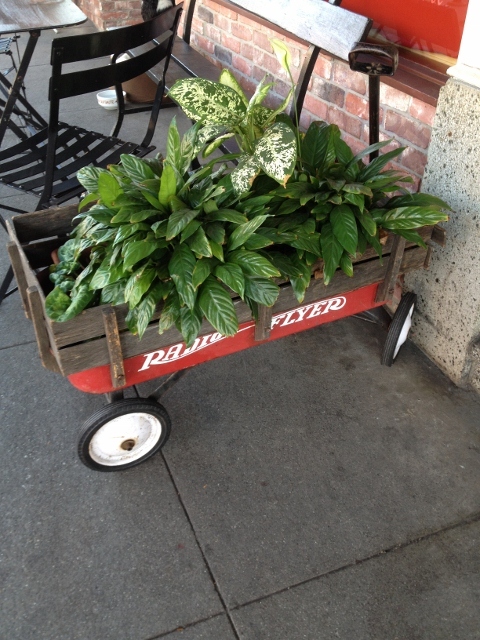 And how much cuter can you get than a Radio Flyer full of houseplants? Or, for a more modern aesthetic, a recycled metal duct. But these are just two examples. The possibilities for moveable planters-on-wheels are pretty infinite.